We are a catering company (est. 2003) who specialise in Private and Corporate Catering. Jacqueline Mazur (proprietor) attained a Higher National Diploma in Catering Management at Westminster Catering College (a couple of years before Jamie Oliver! ), and Level 4 Award in Managing Food Safety (run by the Chartered Institute of Environmental Health). Jackie has managed a busy brasserie on The Strand, the catering at Ealing Film Studios and corporate hospitality suites in the city. Before setting up Delicious Dishes, Jackie spent four years as a Manager for a Fine Foods Company in London. Jackie is driven by a passion for fresh ingredients, sourced from local suppliers, and a desire to create a professional event. 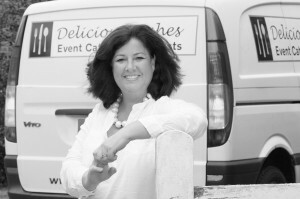 Today Delicious Dishes provides a fantastic, fun and friendly catering service that can be hired for a number of different occasions ranging from private birthday parties to professional board room lunches. For more information on the different events we generally cater for, please see Private Catering and Corporate Catering. Call us!We are friendly and enthusiastic about any occasion. 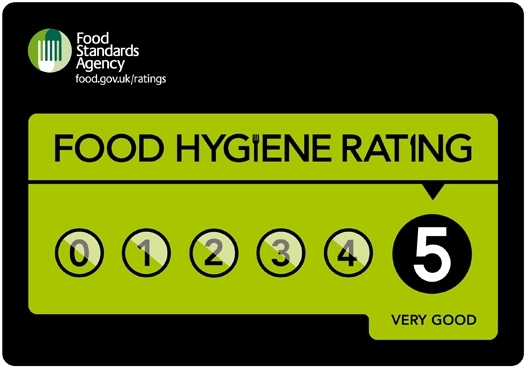 We have Full Public Liability Insurance and have been awarded a 5 star rating from the local council for food safety.